New Delhi: Which is India’s No. 1 farm crop by value? Rice (paddy) or wheat? Wrong. The answer is milk. According to the Central Statistics Office’s (CSO) detailed crop-wise estimates of the value of output from agriculture and allied sectors, the country’s farmers produced milk worth Rs 4,95,841 crore in 2014-15. For the first time, the value of milk produced exceeded the total value of food grains (cereals plus pulses), which stood at Rs 4,86,846 crore, and was way above paddy at Rs 2,26,481 crore or wheat at Rs 1,28,998 crore, according to latest figures released this month. It wasn’t like this even 15 years ago. 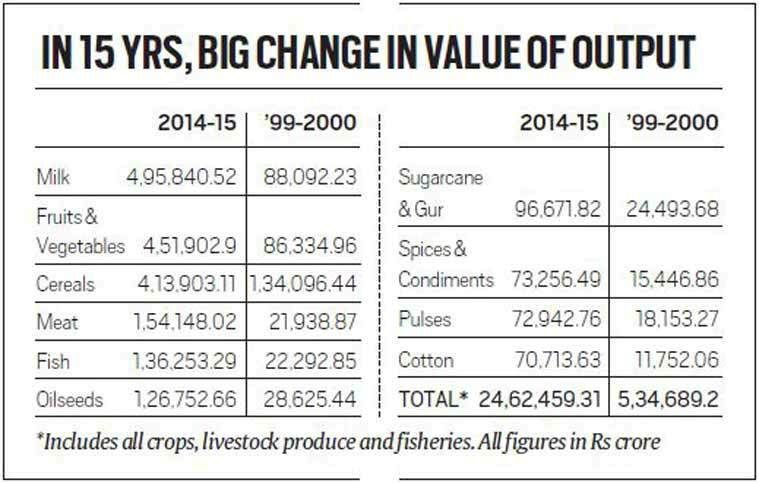 In 1999-2000, the value of milk production, at Rs 88,092 crore, was not even two-thirds of cereals at Rs 1,34,096 crore, although it was more than that of paddy at Rs 70,416 crore and wheat at Rs 46,224 crore. Today, not only does the White Revolution’s contribution to farm incomes surpass that of the Green Revolution, but every fifth rupee generated in the farm sector — which includes the total output value of crops livestock produce and fisheries — comes from milk. The value of any crop is arrived at by multiplying its output with corresponding prices received by producers at the farmgate or the nearest primary market during the peak arrival period. 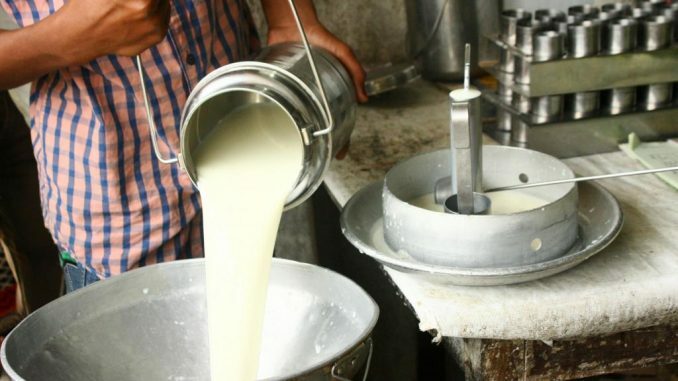 There are three broad reasons why milk’s place in Indian agriculture, and the fact that it is the biggest crop by value, has gone relatively unrecognised or unnoticed. The first is the inability to see milk as a “crop”, since it is harvested not from the fields, but from animals. This, despite the dairy farmer in reality growing fodder and aggregates agricultural residues, with the cow or buffalo simply converting these into milk. Second, milk — unlike paddy, wheat or sugarcane — is harvested and marketed not in quintals, but litres. Also, farmers sell milk round the year, which isn’t the case with normal field crops. Their harvesting and marketing is a conspicuous one-time annual event, even commemorated through festivals such as Makar Sankranti, Thai Pongal and Baisakhi. Third, policymakers have always viewed dairying as an activity “subsidiary” to regular agriculture. This may partly have to do with the animals mostly being fed on the by-products of crop agriculture: wheat and paddy straw, sugarcane tops, and the protein-rich cake left after extraction of oil from mustard, groundnut or cottonseed. But the fact that milk has overtaken even foodgrains in terms of production value — and there is a trend towards farmers taking to full-time dairying and devoting their land exclusively for fodder cultivation — clearly is at odds with the official view. The CSO data reveals the value of fruits and vegetables production, too, crossing that of cereals; this again happened for the first time in 2014-15. Between 1999-2000 and 2014-15, the value of horticultural produce has gone up more than five times. It has risen even more – by six times and seven times, respectively – for fish (nearly 60 per cent of which is now coming from inland, as opposed to marine waters) and meat (from poultry, goat and sheep, buffalo and cattle, and pig). Fifteen years ago, the individual output values of meat and fish were lower than that of sugarcane and gur. But that has since reversed (see chart). All these trends are ultimately a reflection of dietary diversification. If farmers are producing more of milk, fruits and vegetables, egg, fish and meat, they are only responding to signals from consumers who are increasingly demanding food richer in proteins and nutrients. It is another matter that government policy is still stuck in the 20th century, not progressing much beyond cereals and calories.